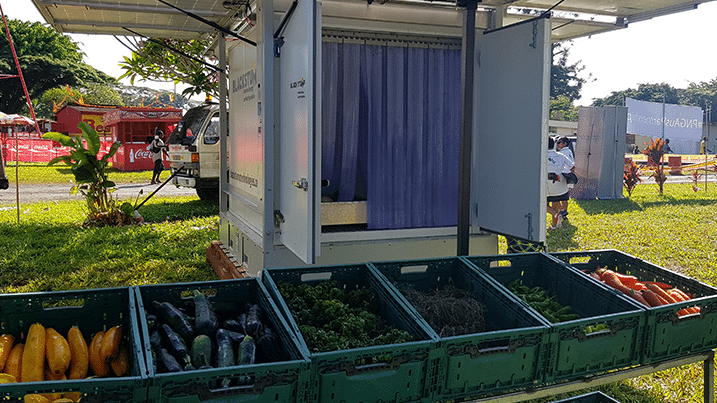 Preserve perishables in this energy independent, mobile chiller or cool room. These medium temperature models feature an operational temperature range of +2°C to +15°C in up to 50°C+ ambient environments. The solar array is secured away and transported like a standard ISO Hi-Cube shipping container. With simple push button operation, units need only be set down and the solar panels deployed. All operation is from ground level and requires no special tools or training. 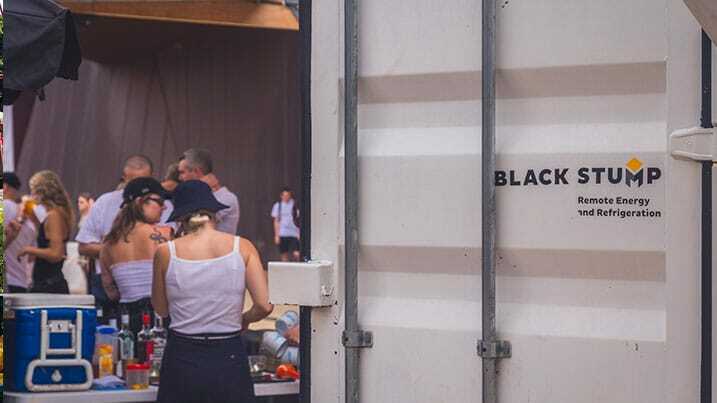 or Black Stump Technologies will work alongside you to produce a custom solution to your need. Working life of batteries is a function of duty use and discharge cycle. 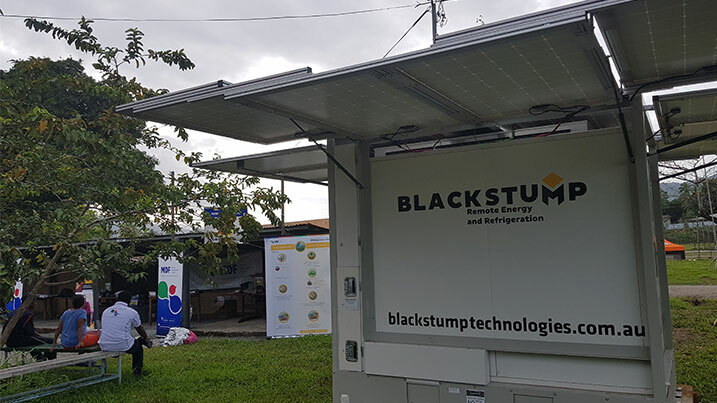 Speak to your Black Stump representitive regarding getting the most out of your batteries or alternative energy storage options.